The past decade has witnessed a steady increase in the numbers of Asian students in North American institutions of higher learning. While their academic success has been widely recognized, concerns about their silence in classrooms have also been expressed by educators. 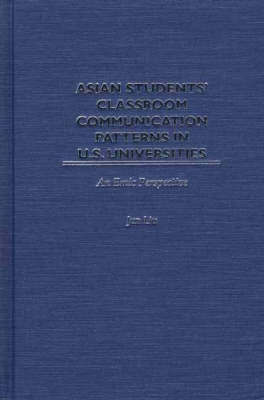 Following an overview of Asian students in North American higher education, this book presents a focused ethnographic study of twenty Asian graduate students enrolled in a major US university, exploring and describing Asian student's oral classroom participation modes across multiple factors. Four major classroom communication patterns--total integration, conditional interaction, marginal participation, and silent observation--are identified among the participants and discussed across sociocultural, affective, cognitive, linguistic, and pedagogical/environmental factors. Also discussed are the Asian concepts of face saving, politeness, and social identity in multiple discourse communities in light of Asian students' perceptions of and modes in classroom participation. The book concludes with a call for the development of cultural transformation competence, which encompasses social identity negotiation skills, and culture-sensitivity knowledge and mindful reflexivity in addition to communicative competence.